Homebrew is a package manager for the Mac. 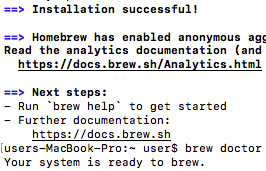 The Homebrew website says "Homebrew installs the stuff you need that Apple didn’t". It makes installing most open source software simple.